Ivan Lintin was the surprise winner of Scarborough’s Gold Cup on the Taylor Lindsey Racing Honda on Sunday. With Guy Martin, Michael and William Dunlop and Ian Hutchinson all sitting out the last international road race of the season, the 29 year old Lincolnshire rider dominated the racing around the Oliver’s Mount circuit, winning the feature race comfortably from John McGuinness on the Valvoline Padgett’s Honda. “It’s been my first year on a 1000cc bike and, to be honest, I thought I’d struggle but I seemed to gel with it straightaway and with better equipment, I’ve been able to challenge the established riders more.” Lintin said. Despite still suffering with damaged knee ligaments after crashing at last month’s National Superstock 1000cc round at Cadwell Park, Lintin was untouchable all weekend and took six wins from seven races. 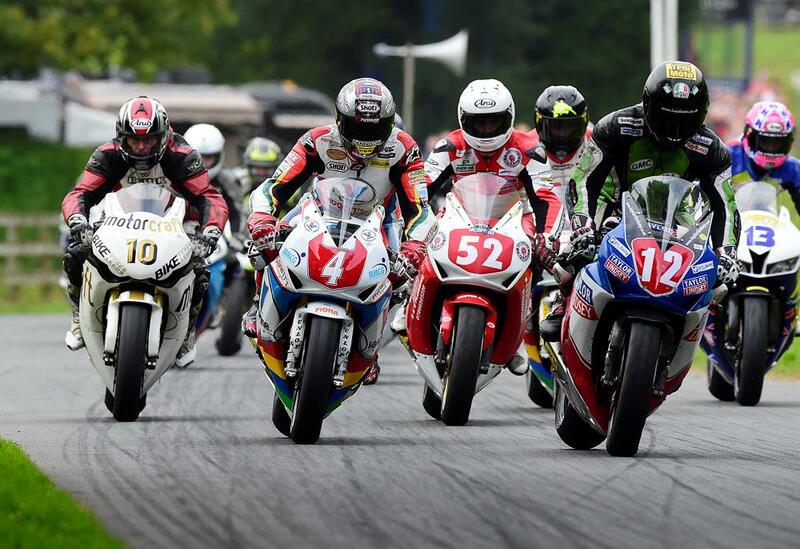 His only defeat came at the hands of Lee Johnston in Sunday’s second Supersport 600cc race. “To win seven out of seven would have been nice but I’m getting more and more consistent and my performances this year have helped me get closer to the factory riders on a more regular basis.” Lintin reflected. McGuinness, meanwhile, was having his first outing on modern machinery since June’s Senior TT but he was no match for Lintin or Johnston and admitted the final events of the year are being used as preparation for next season. With his 2014 campaign being wiped out by the wrist injury he sustained in March, the 21 times TT winner was racing for only the fourth time this year and he struggled to to get up to speed. “To say it’s not been my greatest year would be an understatement,” said the Morecambe rider.